Delaware County Common Pleas Court Judge Randall Fuller, Domestic Relations Division, has been elected to the board of trustees of the Ohio Association of Domestic Relations Judges. Fuller was elected in 2016 to be the first judge of Delaware County’s newly created Domestic Relations Division. He was sworn in on Dec. 8 and began his term on Jan. 1, 2017. He subsequently became a member of the association in 2017. Fuller currently serves on the Domestic Relations Law and Procedure Committee for the Ohio Judicial Conference. According to the association’s website, membership includes all domestic relations court judges, providing leadership for a just and effective domestic relations court system throughout the state. The association addresses issues affecting divorce, dissolution, legal separation and annulment, civil domestic violence cases, child custody, child support, parenting time issues, spousal support, and other related matters. Fuller said a large part of the monthly board conferences has involved discussing changes and proposed changes in the law. He said knowing what is coming allows the association a chance to weigh in and make suggestions on the wording of laws. The new Domestic Relations Division of the Delaware County Common Pleas Court was created by state lawmakers and signed into law by Gov. John Kasich to address the growing needs of the county’s court system. Prior to the creation of the new division, domestic cases were divided between the juvenile and the general divisions of the county’s court systems. Fuller said compared to other counties, Delaware County has a unique situation since it is so affluent. In Fuller’s first year as the Domestic Relations Court judge, he oversaw the transition of the Domestic Relations Court to the new Delaware County Courthouse at 110 N. Sandusky St., hired staff to fill all the positions created by the formation of the court, and consolidated court files from the juvenile and common pleas courts that involved domestic relations. 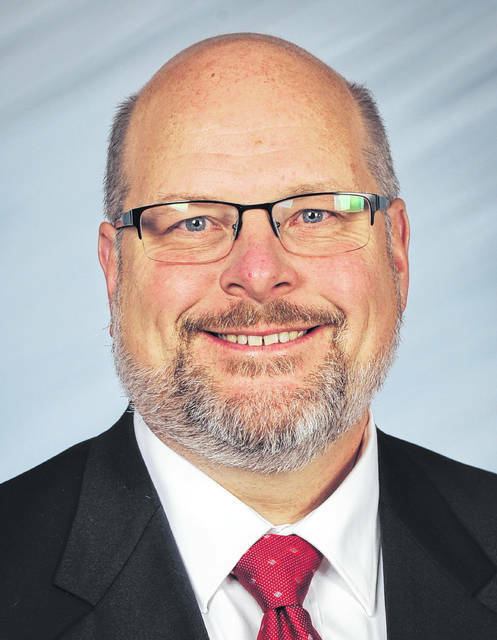 Fuller, a native of Delaware County, obtained his jurist doctorate from the University of Toledo, bachelor of science from The Ohio State University, and graduated from Buckeye Valley High School. Prior to being elected, Fuller specialized in domestic relations as a private practice attorney for 22 years in downtown Delaware. This entry was tagged D. Anthony Botkin, Domestic Court, Fuller, John Kasich, Ohio Association of Domestic Relations Judges. Bookmark the permalink.